Located on the grounds of the Villa de Matel complex near the Sisters of Charity Cemetery is the Conventional Chapel, undoubtedly the most beautiful structure in the city. We would be remiss if we failed to mention the existence of this special place. 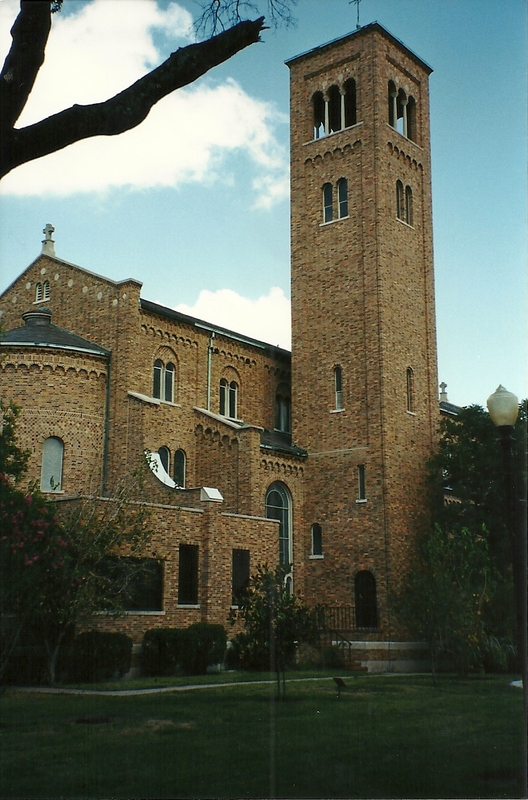 In 1925 the 0rder commissioned Maurice L. Sullivan to design a Mother House, Novitiate and Chapel on 72 acres of land in east Houston. The project took three years. The exterior of the Chapel is constructed of semi-rough, reddish brick and stones of various colors. The building is 160 feet in length, 58 feet wide and the ceiling is 58 feet high. The campanile is 117 feet high and contains Schulmerich Carillon Bells that tonally conform to those of St. Peter’s Basilica in the Vatican City. 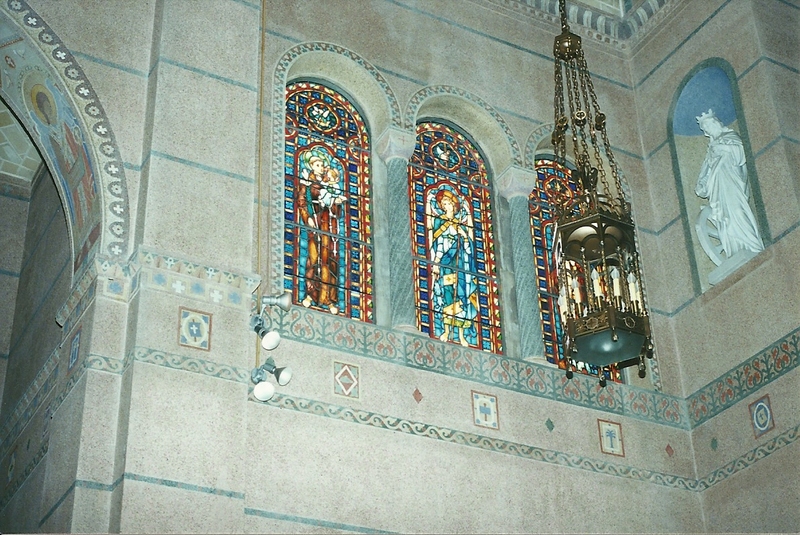 The interior is of concrete mosaic, inlayed Tavernella marble and Venetian mosaics. The stained glass windows are fantastic as is the statuary. Symbolism is everywhere. The experience is akin to standing inside a jewel box that is bathed in sunlight. It is not easy to gain access but periodically public events like concerts or concertos are offered in the Chapel. It is well worth the visit. You will find a Cemetery on the grounds of Villa de Matel as well as one of the largest collections of sacred relics in the city. For more information visit www.sistersofcharity.org.